Send It In Jerome: Week 3: Who to Play? Who to Bench? We’re only 11.8% of the way through the regular season, but if I asked you to pick out 7 teams from each conference that you think have no chance of making the playoffs – ignoring the fact that an archaic rule exists by which someone has to represent the NFC West in January – I feel like we would agree on at least 13 of those 14 teams, with the margin of error accounting for the impartial votes of fans of those 14 otherwise hopeless teams. On the flip side of that coin, if I asked you to pick out the 7 best teams from each conference, I think it’s safe to assume that our answers would only differ by how much you’re drinking the Bills and/or Redskins kool-aid. That leaves us with all of 2 teams from each conference (Buffalo, Tennessee, Tampa Bay, and Washington, from which you can probably infer my 14 in each of the other groups) that are somewhere in between the group of teams that could potentially make the playoffs and the group of teams that you hope and pray you never have to rely upon in your suicide pool. I can’t remember the last time the NFL was this polarized two weeks into the season. Due to the way everyone overreacts to Week 1 (and if you read my 4-part article last week, hopefully you weren’t one of those people), I’ve always found it easiest to bet on Week 2 games, but I never expected to go 13-3 against the spread and feel shocked by exactly zero of the final scores. It’s nice to already have a good feel for where we stand in the league. Sure, some teams may yet surprise us in either direction, but it really feels like we know which teams are legit and which are playing for draft position. In addition to gambling and suicide pools (and you can look for my weekly Eliminator suggestions at the end of this article; they were 5-0 last week), it’s good to know the comparative rank of teams for setting your fantasy line-ups. 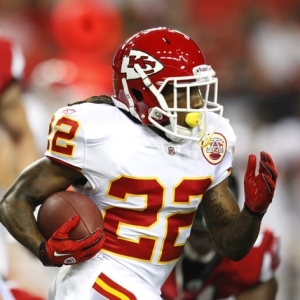 For instance, with the tragic loss of Jamaal Charles, everyone is debating whether you’d rather have Thomas Jones or Dexter McCluster on your team, but I can tell you right now that you won’t want either anywhere near your starting line-up this week in a game they’ll likely lose by 28 to the Chargers. At its most basic level, determining fantasy value in a given week is a coordinate plane (X-Y axis) in which you figure out how likely it is that your guy succeeds against his opponent on a per touch basis, and then figure out how likely it is that your guy gets a lot of touches/targets. It’s basic math in which you want the guy who will carry the ball 25 times for 6 yards per carry as opposed to the guy who will get 8 carries at 3 yards apiece. 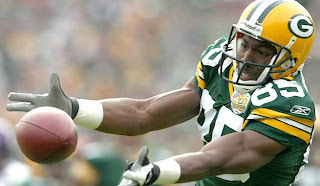 As another example, if you had a wide receiver going up against a good pass defense in a game that his team will likely win (perhaps a home game against the Cincinnati Bengals, Buffalo Bills, or Oakland Raiders), then you might consider benching that guy; especially if it gives you the opportunity to play a different guy against a porous pass defense in a game his team should lose (perhaps a road game against New England, New Orleans, or Green Bay), because he’ll likely get more targets and has a better opportunity to turn them into receptions. Keep in mind, there’s a limit to this thing, so you’re never going to bench Roddy White in favor of Early Doucet. Also keep in mind that it isn’t an exact science, because by this logic, Antonio Gates should have had a monster game against the Patriots, and we all know that didn’t happen. But if you want to put yourself in the best position to win, which is what fantasy is all about, that’s how you do it. Without further ado, here is what I would do this week with the 160 guys who meet those criteria. You’ll quickly discover that a lot of these are no-brainers. 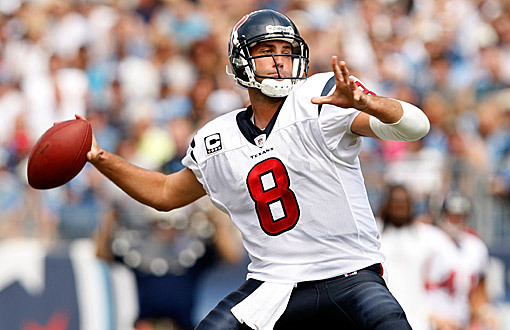 You can’t possibly need my help in deciding to play Brees, Andre Johnson, or Matt Schaub. But all of those running backs on the bench are a different story. Last week, after one whole game of action in the NFL, I officially declared Mark Ingram a bust. He followed that up by doing virtually nothing on the ground in Week 2 (3.6 YPC) and remaining completely invisible in New Orleans’ passing scheme. He might break one for a score against a less than mediocre Texans rush D, but “might break one” isn’t good enough for me to start the guy from a three-headed rushing attack that’s averaging 3.4 yards per carry. And I simply don’t know what to do with Pierre Thomas, since he’s not overwhelmingly involved in either the rushing or passing attacks, so if I accidentally had him on my roster, he’d be on my bench. As a guy who owns both Foster and Tate in his main league, I’m already completely nauseated by their situation. It’s becoming one of those rare handcuff situations in which you almost need to start both guys if they’re healthy. (Un)fortunately, it looks like Foster’s hamstring is going to be a lingering issue, so you’ll want to start Tate on a regular basis (maybe even this week if they officially rule Foster out), but I’d be cautious in using either guy in a game that figures to be a slinging competition between Schaub and Brees. As such, I’m also recommending that you bench both defenses if at all possible. Fortunately, this is a 1:00 kickoff, so if Vick’s winds up being a game-time decision, you’ll have the opportunity to swap to someone else at the last second if need be. Unless you somehow wound up with Vick and another pre-season top 10 QB, if he plays, I understand you’re going to want to play him. However, I’d feel a lot safer starting any number of other guys that you may very well have as a Vick back-up; guys like Newton, Fitzpatrick, Kolb, Stafford, or Sanchez. It almost feels like a foregone conclusion that he’ll start the game, but wind up on the sidelines by halftime. Whether it’s Vick, Young, Kafka, or Andy Reid throwing the ball, you’re going to want to start the rest of the Eagles that you would normally start, because the Giants’ secondary is super bad. And not in a Jonah Hill and Michael Cera ha ha sort of way, but in a way that allows the Redskins and Rams to move the ball at will through the air. As far as the Giants’ offense is concerned, I’m not starting anyone aside from Hakeem Nicks, and that’s only because he’s Hakeem Effing Nicks. Aside from him, the G-Men have mightily struggled with the aforementioned Redskins and Rams, and I somehow doubt that their defenses are even comparable to the one the Eagles bought accumulated this off-season. I honestly wouldn’t be surprised if the Eagles won this game 31-3. Especially when you consider how worthless the Panthers rush attack has been. Take Cam’s rushing totals out of the equation and Jonatangelo Willart has carried the ball 30 times for 74 yards and no scores. You read that right: DeAngelo Williams + Jonathan Stewart = 30 carries for 74 yards. If it weren’t for Stewart’s completely unexpected receiving yards last week, the combined forces of the Panthers backfield would be less valuable than back-up running backs like Roy Helu, Brandon Jacobs, or CJ Spiller. One could argue that they’ve been less valuable than each individual member of the Saints backfield, which is really saying something. And it doesn’t look like it’s going to get any better against a Jaguars front 7 that has completely shut down Chris Johnson, Shonn Greene, and LaDanian Tomlinson in the first 2 weeks of the season. If you have Olsen, not only would I not start him this week, but I would start considering dropping him, even if it’s for the teammate getting more looks than him: Jeremy Shockey. Give it another week, but thus far, it isn’t promising that Olsen is only responsible for 13% of Newton’s passing yards. 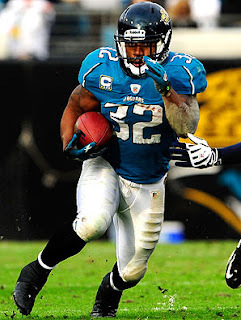 If you’re thinking of starting any Jaguars aside from MJD, then I’m sorry to hear that you decided to join a league in which you’re only allowed to own guys from the AFC South. Unless the Chargers score 56 points on their own, this Pats/Bills game is the only one that might rival Texans/Saints for highest combined score of the week. With that in mind, you’re going to want to start the majority of the guys in this game, especially those involved in the passing game. Brady is unequivocally the #1 fantasy QB right now, and you’d be a fool to bench him or any of his primary targets. You’re playing Gronkowski, Branch, and Welker without even thinking about it, and depending on your receiving corps, you’re at least giving Ochocinco a long, hard look. With Aaron Hernandez out of action, we should see a lot of 3 receiver sets from the Patriots, which means Eight Five might have some real value this week. On the Bills side of things, Fred Jackson has been unbelievable the past two weeks, so you can’t bench him, even if you realize that those two monster games came against 2 of the worst defenses in the league. Same goes for Ryan Fitzpatrick and Stevie Johnson. I don’t think the Bills offense is anywhere near this good, but it’s plausible enough that I wouldn’t bench any of their main guys, particularly against a less than stellar Patriots secondary. He isn’t (yet) owned in more than 25% of leagues, so he isn’t on the list, but I think you’re also starting David Nelson in this game if you’ve got him. Scott Chandler has already severely regressed from his Week 1 performance, and after the way the Patriots completely shut out Antonio Gates last week, I wouldn’t start him in any leagues this week. I have Spiller on my bench list, but if you’re in a PPR league, I think he’s a must start, as the Patriots are allowing opposing rushing attacks to make 12 receptions for 95.5 yards per game through 2 weeks. You’re benching the Patriots D for fear of this turning into a barn burner, and you’re benching the Patriots running backs because we simply can’t trust either guy to be the primary guy. Not surprisingly, this Dolphins/Browns game features the fewest number of guys owned in >25% of leagues. There are actually only 6, but I’m throwing in McCoy and the defenses just in case you’re considering spot starts in this one. If you have Marshall or Hillis, he’s more than likely your #2 guy at that position and you’re probably starting him on a weekly basis regardless of match-ups, but consider this a reminder that they’re both safe starts this week. Hillis was in beast mode last week (albeit, against an awful Colts defense), and the Dolphins haven’t exactly been shutting down opposing backs. Meanwhile, Brandon Marshall currently leads the NFL in targets, so even if you think the Browns actually have one of the best pass defenses in the NFL (severely inflated thanks to facing Andy Dalton, Bruce Gradkowski, and Kerry Collins), it’s safe to assume Marshall will have a 7 receptions for 80 yards and a TD type of game. Because of everyone else involved here, I think you could make the argument that both defenses might be worth a flier this week in what should be a low scoring affair. 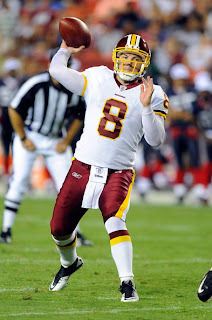 Until Greg Little emerges or the Browns otherwise acquire an actual receiving threat, I’m not starting Colt McCoy unless I absolutely have to. The Bush/Thomas situation is just example #15 in the game of “Maybe Week 3 will help clear up the backfield,” and until then, I’m nervous about starting either guy. I like Henne and Bess in most weeks, but this has the feel of a grind it out for field position type of game, which never bodes particularly well for quarterbacks or #2 wide receivers. Another terrible, horrible, no good, very bad game. The Bengals have a better than average pass defense and the 49ers have a less than average pass attack. The 49ers have a better than average rush defense, and the Bengals have a less than average rush attack. If things go even remotely according to plan, we should see a lot of Frank Gore, a fair amount of Vernon Davis, and a lot of Andy Dalton (for better or worse), which should mean plenty of targets for Green and Simpson again. Even without Braylon Edwards, you really have no interest in Michael Crabtree until he’s clearly recovered from that foot surgery. And even then, he hasn’t exactly proven himself worthy of fantasy ownership. While we’re on the subject, at what point can we stop blaming Alex Smith for Alex Smith’s career numbers and start putting the blame on the 49ers’ front office? Aside from Vernon Davis, the best thing he’s had to throw to in his career is either a young Brandon Lloyd, a one year fling with Antonio Bryant, or Michael Crabtree. He was never going to be Tom Brady, and maybe he was thrown into game action long before he was actually prepared for it, but he’s been jerked in and out of a line-up that perennially has one of the worst wide receiving groups in the nation. And he hasn’t had anything remotely resembling consistency in the offensive coordinator department. What exactly were we expecting him to do under those circumstances? Once (if) Braylon and Crabtree are healthy, I think he closes out the season with the best per game totals in his career. Too bad he’s going to have another awful performance this week with Josh Morgan and Ted Ginn as his primary receivers. Forgive me for that tangent, but I swear, there’s nothing more interesting to write about this game. I’m really beginning to wonder how many of these 1:00 games are worth watching. If there was any chance of getting home in time for the 4:00 games, I would be giving more consideration to spending the afternoon at Nationals Park for the season finale against the Braves. I mean, seriously, Cleveland/Miami, San Fran/Cincinnati, and Denver/Tennessee? Take away the NFC West automatic bid and are any of those teams even remotely on the playoff radar? 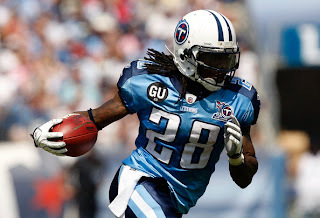 You probably don’t need my help on this one, but you’re obviously playing Britt and Lloyd if they’re healthy (and Decker would jump into a must-start situation if Lloyd doesn’t play), and against an improved-but-still-porous Broncos rush defense, it’s time for CJ2K to at least start looking like CJ1K. Whether or not Moreno limps back onto the field, McGahee is the Bronco running back you want to play this week. Aside from those 4 guys, I’m benching everyone in this game. The Titans have put a lot of pressure on opposing QBs thus far, and aside from the balls thrown to his primary receiver in each week, Orton has been relatively useless. If Lloyd starts, I’m selling my Decker stock. And Moreno isn’t even effective at 100% health, so you definitely don’t want him at 50%. I can’t put a finger on it, but this feels like a trap game to me. If the Vikings lose this game, they would drop to 0-3 while the rest of the division is sitting at a combined 7-2. Their season would be over before it even had a chance to start, which might end up being a good thing for the Christian Ponder era, because there’s no chance they keep throwing McNabb out there once it’s evident that their season isn’t going anywhere. Viking desperation aside, I just don’t think the world is ready for the decade-long doormat Detroit Lions to be sitting at 3-0, including wins in 2 of its 7 most difficult games of the season. It’s just a gut feeling though. I don’t have any evidence behind it, and if anything, two weeks worth of stats suggest the Lions should win this game with ease. I’m not worried enough about an upset here that I would bench Stafford, Megatron, Burleson, or even the Lions D; but against one of the better rush defenses in the league, I would bench whichever Lions running backs you have on your roster. I’m also avoiding Pettigrew if possible due to injuries and the fact that Scheffler has both of the Lions TE TDs this season. If you have Peterson, there’s literally no chance you’re considering benching him. 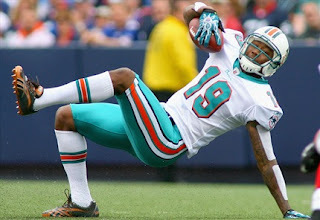 That being said, he’s probably going to wear himself out trying to Run Around Suh (see what I did there?) and the rest of the Lions front 7. Fortunately for his fantasy owners, the road to Minnesota victories leads straight through AP, so he’s going to get his touches, and he’s bound to break a couple for big gains. I think you also have to play Percy Harvin because he’s the return guy, the #1 WR, and the #2 RB. And just in case you haven’t played any fantasy football or watched a game since 2009, this is a friendly reminder to keep Donovan McNabb out of your starting line-up. This game is chock full of guys I don’t want any part of this week. As far as the guys I’m definitely starting, the Rams have allowed the most rushing yards in the league thus far (and by a considerable margin at that) so if you had any hesitations about starting Ray Rice after his mortal day against Tennessee, hesitate no longer. 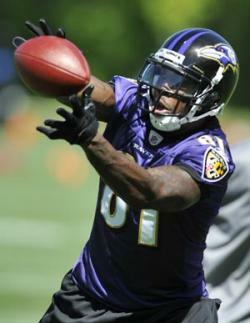 Other than Rice, Boldin has been the only reliable source of production in the Ravens passing game, so go ahead and keep starting him until further notice. And so long as Ray Lewis and Ed Reed are on the field, I think you have to continue playing the Ravens defense, especially against a Rams offense that has looked rather anemic since Steven Jackson left the field in the first quarter of the first game of the season. Aside from those options, I think you’re benching everyone in this game. Hopefully, Flacco or Bradford is your back-up QB and you have a better option, because Flacco looked like a fish out of water last week, and I think Bradford will have a sub-par day against an above-par defense. If you have either Jackson or Cadillac, you’re hoping Jackson ends up not playing so you can confidently bench him and/or feel better about starting Williams; but if they both play, I don’t think you want any part of either of them. And if you’re going to start any Rams wide receiver, I think you would rather have Alexander or Gibson than Sims-Walker. This will be the game that lets us know Oakland’s fate for the rest of the season. I’m not saying it’s a must-win game, but it’s definitely a must-be-competitive game, lest they want everyone to write them off as the same old Raiders. Personally, I already think they are the same old Raiders; they just barely beat a pathetic Broncos team and needed a 63 yard field goal to do so, and then they completely fell apart in the 2nd half last week against the Bills. A good team would have won both of those games with ease. It blows my mind that the Jets have 10-to-1 odds to win the Super Bowl, but they’re only favored by 3 in this game. You’ll definitely want to start the Jets’ primary 4 offensive weapons, and no, I don’t consider Burress to be one of them. A lesser man would make a joke there about Burress and weapons, but I’m choosing to abstain. I really don’t understand why we keep wanting to believe that he’s going to be the same guy he was 3 years ago. Unless you’re Michael Vick or Nelson Mandela, you don’t just go to jail and come out better than you ever were. He had one good quarter against a below average Cowboys secondary that was injury depleted to boot, and he already has a nagging ankle injury of his own; can we please stop acting like he’s a premier wide out? Cool. As I was saying, You’re definitely starting Holmes and Keller in this game, and even though I hate him, I think you almost have to start Shonn Greene due to all that Coordinate Plane talk earlier (facing an awful rush defense in a game the Jets should win easily). However, I’m shying away from Tomlinson because the Jets just don’t seem that interested in giving him any sort of work load at this point in the season. Last but hopefully not least, I think Mark Sanchez has a very average kind of game (translation: minimal risk and minimal upside), so I would feel safer playing him if I had an injured QB or a quarterback that has an unfavorable match up. For the Raiders, I can’t, in good faith, suggest that you start anyone aside from McFadden (and Janikowski). Against the Jets’ secondary, you don’t want to start anyone that is heavily involved in the passing game; and frankly, the only Raiders WR that you would consider starting right now anyway (Jacoby Ford) is probably not even going to play. Since the Raiders only have one notable guy on offense, and since the Jets have the #1 fantasy defense right now anyway, you’ll want them in your starting line-up if at all possible. Maybe I would consider playing Dwayne Bowe over Malcom Floyd, but this is seriously going to be a bloodbath. On a side note, did you know that Nate Kaeding is still in somebody’s starting line-up in 51% of ESPN Standard leagues? And that Antonio Gates is not in a starting line-up in 3.1% of ESPN Standard leagues? Gotta wonder why they don’t at least set up some sort of robot system that automatically sets the line-ups of abandoned teams to waive guys on the IR and play the guys with the highest projected scores each week. I mean, there can’t be much pride in winning a league where you just picked up Mike Tolbert and Cam Newton on Wednesday, can there? It’s really saying something about Tarvaris Jackson when the Seahawks are facing one of the worst secondaries in the league, and I still refuse to suggest starting anyone he might try to throw the ball to. 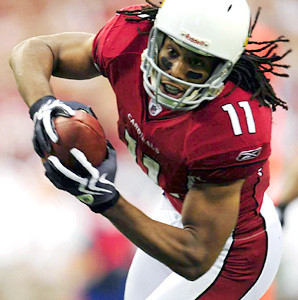 For the Cardinals, you’re definitely starting Larry Fitzgerald, I would recommend starting Beanie Wells, and I couldn’t argue with starting Kevin Kolb. I would even let you spot start the Cardinals defense in this one if you wanted. The race to see who can lose the most games this season is officially on between Kansas City and Seattle. The Colts, Rams, and Dolphins are pretty bad, but I think we can all agree they’ll at least win a couple of games each. I’m not so sure the Chiefs or the Seahawks can. This is probably Seattle’s best chance to win a game, and it doesn’t look too promising. They also have a home game against the Rams in Week 14, and I must be experiencing technical difficulties, because I’m being told that’s a Monday Night game. You’re kidding me, right? Whoever was responsible for that decision should be fired, re-hired at a different position, and then fired again. I would rather watch 3 hours of live footage of a Republican Primary Debate than endure any of that nationally televised game. There has to be some way that we can come together as a nation to boycott that game. Seriously, let’s all make sure we have other plans on December 12. I’ll try to go to the Bucks/Wizards game that will get cancelled 3 months ago. Through 105 minutes of action, both the Bucs and Falcons looked like shells of their former selves. Are we to assume that their final 15 minutes of action last Sunday are a sign of things to come, or just a “lucky” quarter? Going into the season, the range of expectations for each of these teams was just as widespread as any other, and I somehow doubt that I’m the only person with no idea what to make of either of them after 2 weeks. That’s my long-winded way of saying that when you don’t have a good reason to bench someone, then you might as well play him. If you have the #1 QB, RB, WR, or TE for either of these teams, he’s probably worth a shot. Aside from a less-than-average Buccaneers rush defense, neither team is particularly good or bad on offense or defense at passing or rushing the ball. It feels like it’ll be a 28-24 game where you won’t be really thrilled or disappointed with more than 1 or 2 of the 8 proposed starters for this game. The only reason I recommend benching Julio Jones is because he was non-existent against the Eagles last week, and I feel like the Falcons are going to make it more of a point than usual to get the ball to Roddy White this week. Let’s go rapid fire on these last 3. Starks is clearly the main guy in Green Bay right now, so I’m playing him and benching Grant if I have either guy. Even though the Packers have one of the best passing attacks in the league, Finley, Jennings, and Nelson have been the only benefactors thus far, so keep Jones and Driver on your bench until they’re more involved. The Packers have also had one of the worst defenses thus far, but I don’t think you can feel safe starting anyone from the Bears aside from Matt Forte; Jay Cutler is too unreliable, especially in big games, so the value of his primary receivers is less than what it usually would be. In a Sunday night game that should be over by halftime, feel free to start any Steeler that you have; even Isaac Redman. And even though Kerry Collins is beyond washed up, I still think Wayne and Clark are must starts because they’re the only reliable options that he has. Garcon and Collie should improve, but it shouldn’t be against the Steelers. As is always the case with Monday night games, the main issue with starting these guys is that you can’t rely on a game-time decision 32 hours in advance. I have Romo and Newton in my primary league; if I knew Romo would start, or if I had the luxury of switching out Romo at the last minute, I would still be debating this decision. If you have a top 15 QB in addition to Tony Romo, I think you have to start the other guy. Same goes for top 20 RB and Felix Jones’ dislocated shoulder. As far as the Torain decision is concerned, it isn’t much of a decision: Hightower is #1, Helu is #2, and Torain can’t get on the field. Aside from him and your banged up Cowboys, I would feel confident starting anyone else in this game (that’s owned in more than 25% of leagues). I have to tell you, I don’t feel great about any of these picks. I’ve been playing this Eliminator game for too long to rely on San Diego (blatantly obvious pick in a divisional game) or New England (2nd most obvious pick in a divisional road game); and I’ve been watching the NFL for too long to rely on the Jets or Panthers. That pretty much leaves Pittsburgh and Baltimore if you want to go a little further outside of the top 5, but then you’re dealing with teams who have incredibly easy schedules this season, so it seems like a waste to pick them in a road game this early in the year. Do I think all of these teams should win? Obviously. Would I be surprised if any of them lost? Not in the least. Good stuff man, really enjoy your analyses each week.